Prima Palace Hotel is a completely renovated and refurbished hotel with the emphasis on comfort and luxury, including all the amenities one finds in a world class hotel. 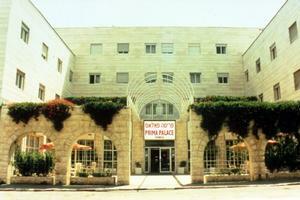 The hotel is "Glatt Kosher" - Mehadrin,with special cuisine; Served in two dining halls - meat & dairy. Guests that are tourists will be exempt of Israeli taxes only if their passport shows a Visa tourist stamp. Guests with a foreign passport but with no Visa entry stamp will be subjected to Israeli taxes as required by law. 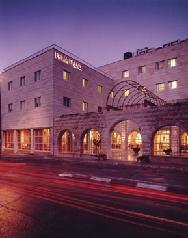 Located in the heart of Jerusalem, near the Davidka square and within walking distance to the Old City and the "Western Wall" (Kotel). "There were too many ortodoks jews. This lead to an unpleasent atmosphere...."